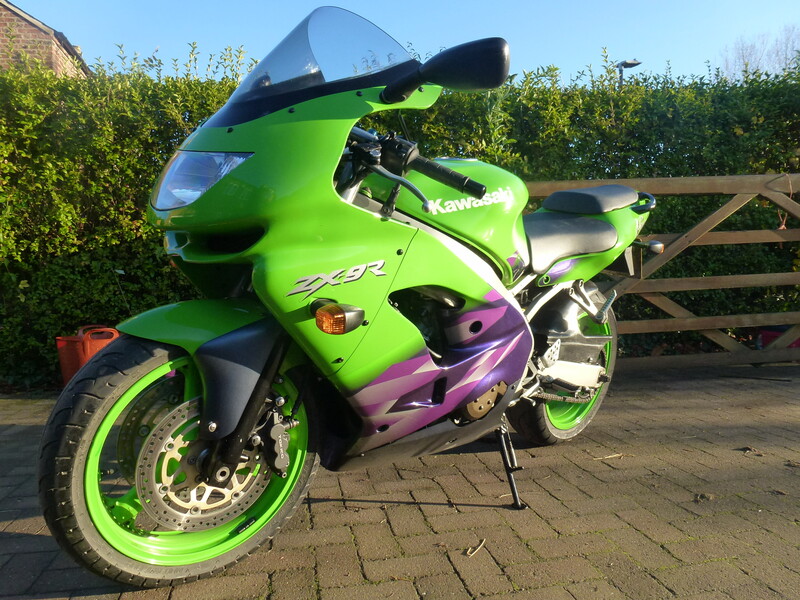 Bought this zx9r the other week for £1500 - it had 1.8k miles on it (this soon went up to over 20k as I got really into it and wanted to ride it all the time). 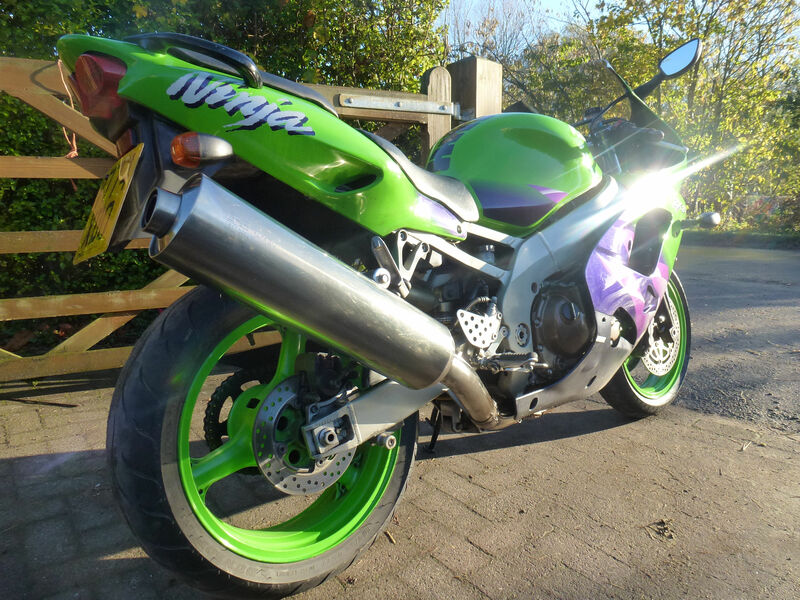 Too good for winter hack but it could do it, at that price. Panels all fit very nicely. No corrosion anywhere (although paint on wheels is piss-thin, and swing-arm near shock is a bit flaky). Consumables fine - tyres will need changing in the next thou or so, chain and sprox okay though. Recommendations for tyres please. Mostly going to be dry miles NB, but still need to handle damp roads. It's a great bike - very refined, bonkers rapid if you want it to be, but will do sensible-ish without ruffling a feather. Can even bimble. It's very comfy (the suspension is magic-carpet incredible - probably a bit under-damped to be fair, but I love it), it's buttery smooth, and 80 feels like 40 on every other bike I've ever ridden iygwim. It's even not too bad on fuel if you're careful. Weak points are the brakes. Six pot Tokicos are like cheese - me and a good mate spend most of last weekend rebuilding them (new seals, etc.). They're better now but still not really good enough imo - a bit too much lever travel, etc. Might fit some four pot Nissins in the future. I approve of your (1st?) big bike. Looks nice and shiny, I'd probably spray vast amounts of ACF-50 all over as soon as possible: on the underside of that rear suspension especially, probably thank yourself post winter. Tyres: PR3: I give up on the bad weather long before the tyres do. Saying that I managed the majority of last winter on a scrubbed set of Dunlop Sportmax Qualifiers with only one or two slightly wobbles from the front on roundabouts (that was, however, a period in time whereby I used only an even lesser fraction of the bikes power than I do now and no more than three gears so their performance may only be recorded as manageable simply because I hardly tested them). Be sure to lug a 16 mm around with you. I only pushed my bike to the end of my path today when a group of young (young children not chav sixteen year old young) kids approached with one of them attempting to rev the throttle after I started it: soon slapped the bastards hand and told em to jogg on, all the while two older males -- most probably waiting for drugs -- stood down the road and one shouted his mate to look over at me when they spotted the bike: I laughed at not being able to move without being eye'd up. I waffle, apologies. Fair play on the mileage: I've managed the poor performance of less than 2,000 so far (year, for me, ends in Nov): with theft, though, I've hardly wanted to move it most days. Honestly, what were the Japanese thinking in the 90s? Looks like a green leaf salad on a bed of red cabbage. Well, first over 650 anyway. I think they were just trying to make it less boring than the C1. That's when they realised no other colour actually goes with grabber green. 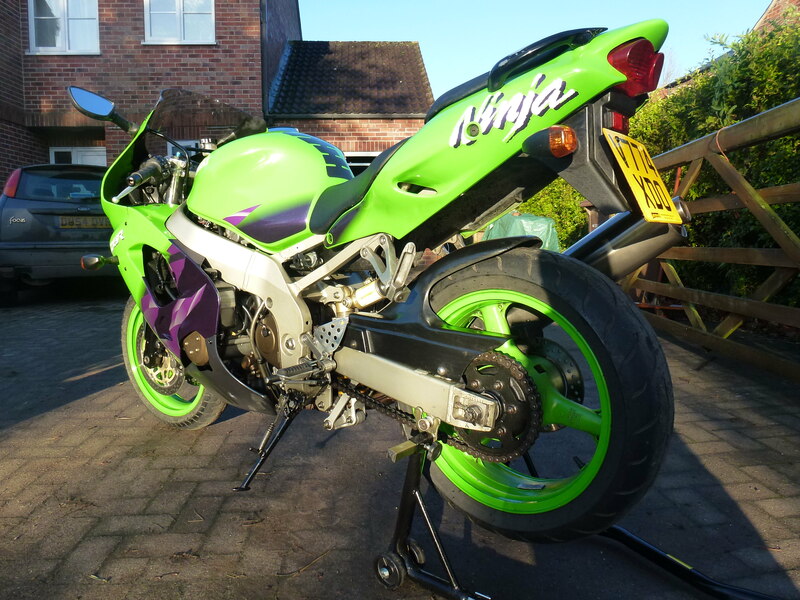 Brilliant bike and good price for a 9, I have the 600 version - done almost 20k on mine in the last year, hasn't let me down. You're right about the calipers. Nissin 4 pots from a Bandit 12 are a straight swap and much better than the 6 pots I've been told. Still yet to swap mine out though. The last post was made 1 year, 174 days ago. Instead of replying here, would creating a new thread be more useful?